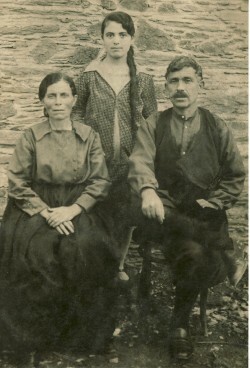 Above: With her husband, Emmanouil, and her daughter, Metaxia. 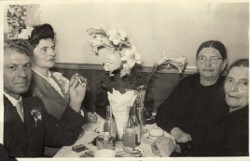 Above Right: With Andonios and Irini Tzannes (couple on the right) and her sister, Marigo Andonaras (second from the right). Above: With family. 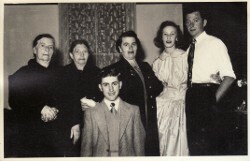 L-R: Permathia herself, her sister, Marigo, her grandson, Emmanouil, her daughter, Metaxia, and Valerie and Gavriil Haldezos. 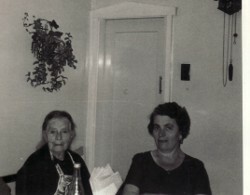 Above Right: With her daughter, Metaxia.